Explore Doi Inthanon & Mae Ya Waterfall to See Sunrise at the Highest Spot in Thailand! The Northern Capital of Thailand, Chiang Mai still carries with it today a great number of cultural and natural heritages. Chiang Mai hosts millions of visitors every year. But what do they come here for? Let's discover what Chiang Mai can give you? Search "Chiang Mai" in Google and endless photos of various temples will pop up right? There is no need to say that you can't miss your chance to visit Wat Phratat Doi Suthep, Chiang Mai's most famous temple, during your trip. But here, there are many more unique temples than just Wat Phratat Doi Suthep for you to visit. These unseen temples are known only by the locals so it's better to let local guides take you there. Be spirited away at Chiang Mai! Having seen photos of people riding elephants, you might have the misconception that it's normal to ride elephants but in reality, it is not that healthy for people to be riding them. An elephant's body structure is not actually suitable for people to ride on them. But if you want to have an interaction with elephants, why don't you go and take care of them instead? Help them take a bath, scrub them, prepare food for them... treat them like one of your friends. Cruelty-free! How can you come to Northern part of Thailand without visiting the highest spot in Thailand? Doi Inthanon is the highest mountain in Thailand, located 2565 meters above sea level, which allows you to get a panoramic view of the nature landscape. Doi Inthanon is an ultra-prominent peak with both Thai and foreigners visiting this peak all year round. 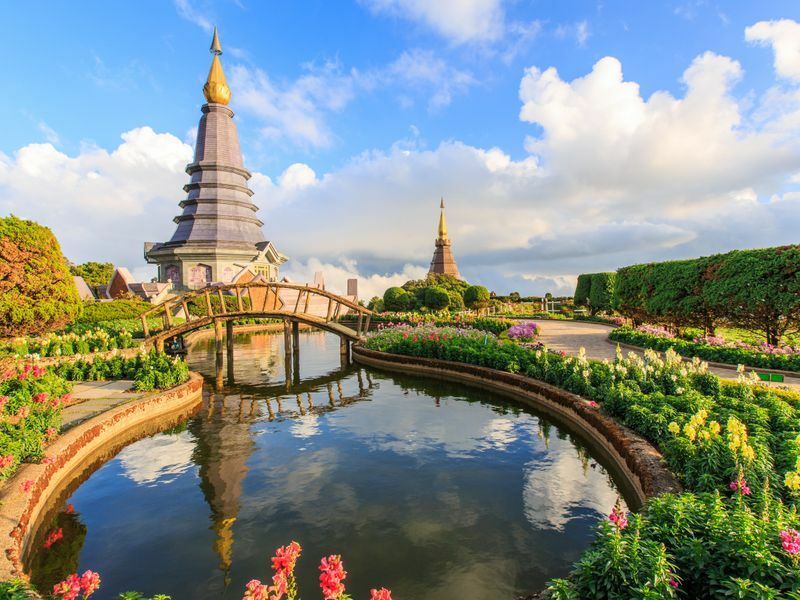 On the same route to Doi Inthanon, you can also make visits to other special attractions like Wachirathan falls, hill tribe shopping market, or pagoda. Just an advice, getting a local guide to drive you to all these places might be more convenient as these places are not easily reachable. Let's visit the roof of Thailand! Imagine yourself climbing the waterfall and taking a good shot of yourself in the middle of the stream, wouldn't that be super cool? Bua Tong Waterfall is an unusual limestone waterfall because you can actually "climb" it. Don't be afraid because trust me, it isn't slippery. This place is a great alternative to those cliche Chiang Mai tourist attractions. Worth a visit! 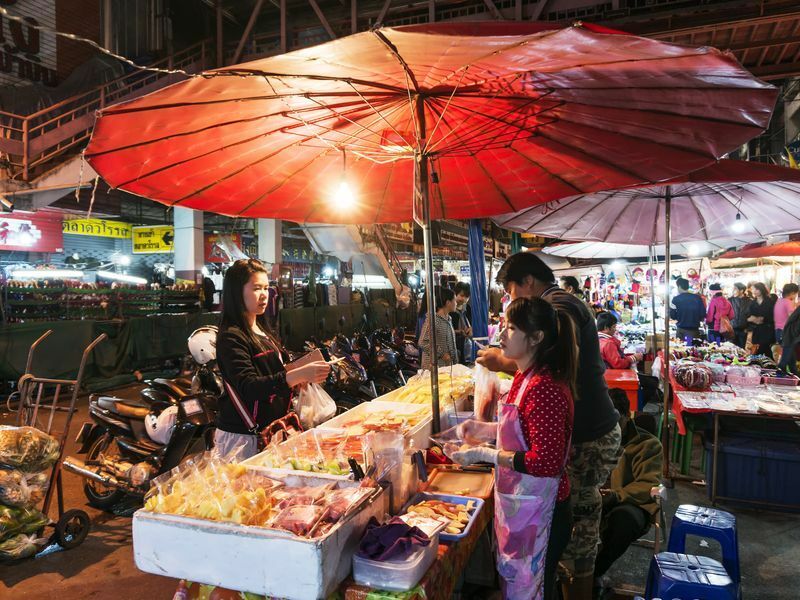 Street food is a huge part of Thai culture and Chiang Mai is not an exception. Especially around Tha Phae Gate and Chiang Mai Gate, hundreds of hawkers and stalls will be set up at night. Visitors can find both contemporary and traditional food here. Sai Oua (northern sausage), Nam Prik Noom (roasted chili dip), Nam Prik Ong (tomato chili dip), and Cap Mhoo (fried pork skin) are Chiang Mai's most well-known foods amongst visitors. However, there's lots more to Northern-Thai food that you should try not miss. For your best experience trying exotic food, it would be useful to have a little bit of help from a local person. Just like anywhere else, Chiang Mai's most wonderful meals are made at home. 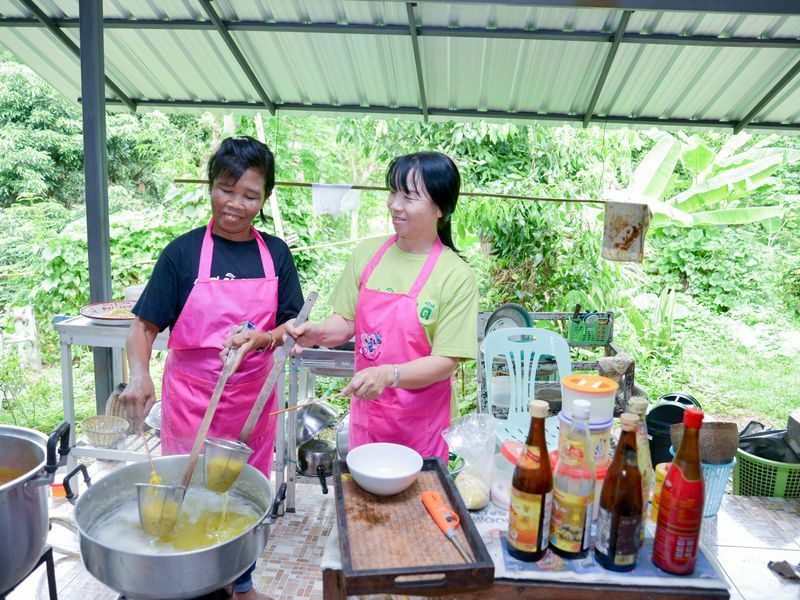 To get a glimpse of local cuisine and real food culture, a lot of local experts open their houses for you to come join their lovely cooking session and dine with them. Learn about all local ingredients such as Jin Som (fermented meat), Hom Daeng (Red Onion), or Nor Mai (Bamboo shoot) and taste the home-cooked meals right here in Chiang Mai. Chiang Mai is blessed with plenty of mountains and water. 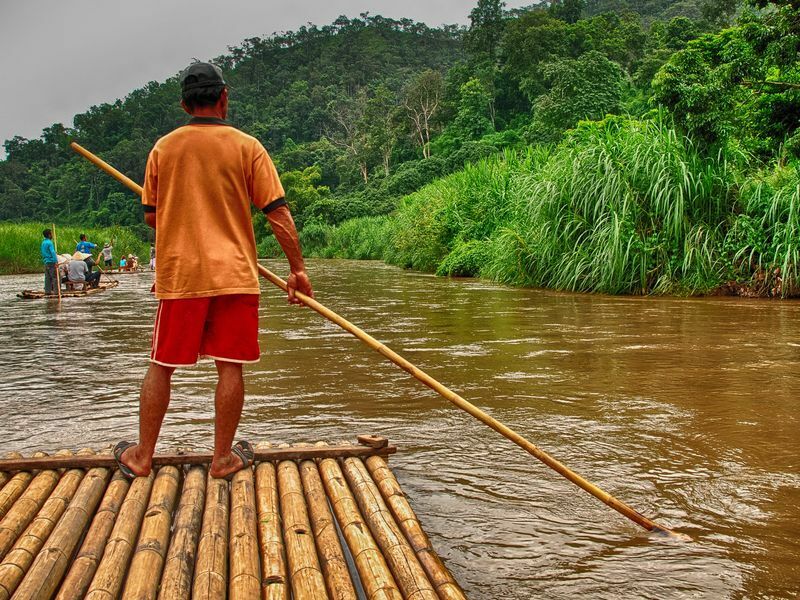 Using a local product like bamboo enables visitors to experience a fun and unique rafting session right here in Chiang Mai. Get your blood pumping while enjoy the refreshing river stream! Chiang Mai is a city of art where there are various craft workshops avaliable for you to have a try. 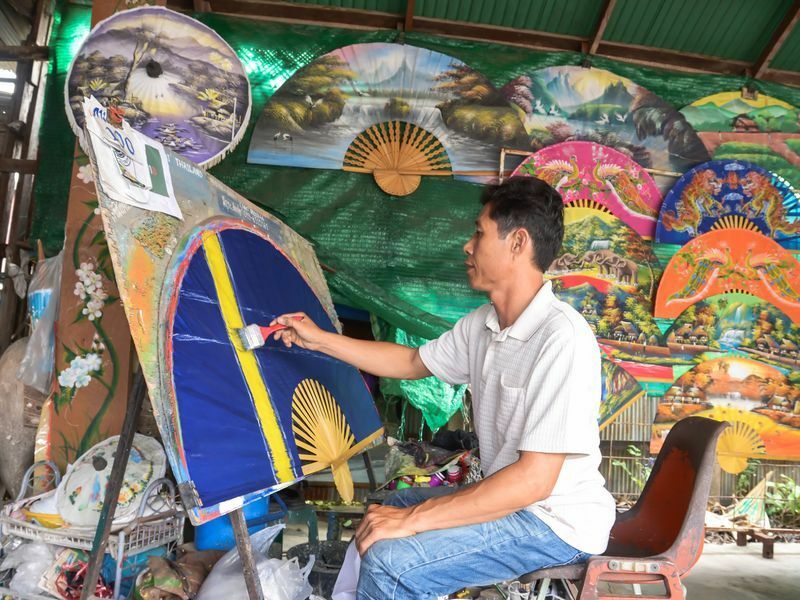 Make your own paper umbrella or show your art skill through the Thai mask painting workshop with a professional local artist. Join natural dye workshops to make your own dye t-shirt or learn how to make unique rubber health balls. Get artistic in Chiang Mai! Besides the popular landmarks, Chiang Mai also offers a lot of getaway destinations to further away peaks and hills, villages and waterfalls. 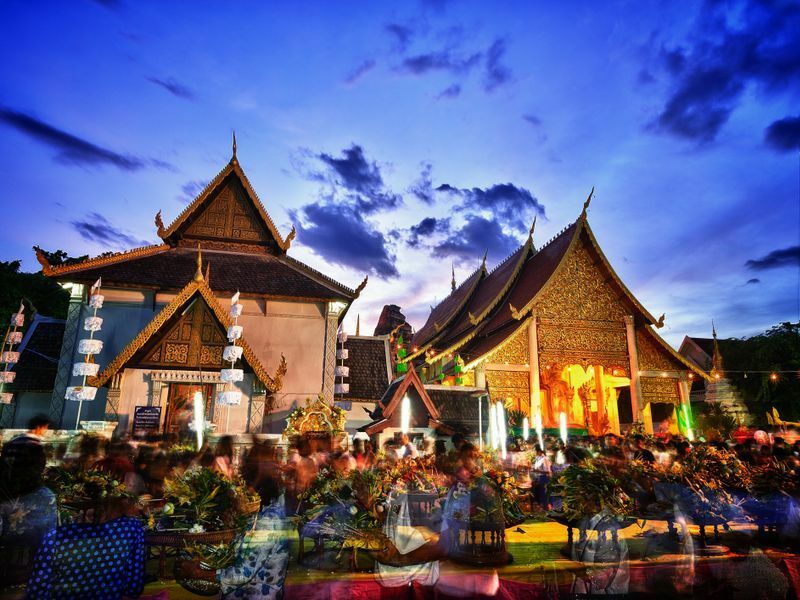 Get to see the exclusive spots and cultures Chiang Mai offers through the locals' eyes. 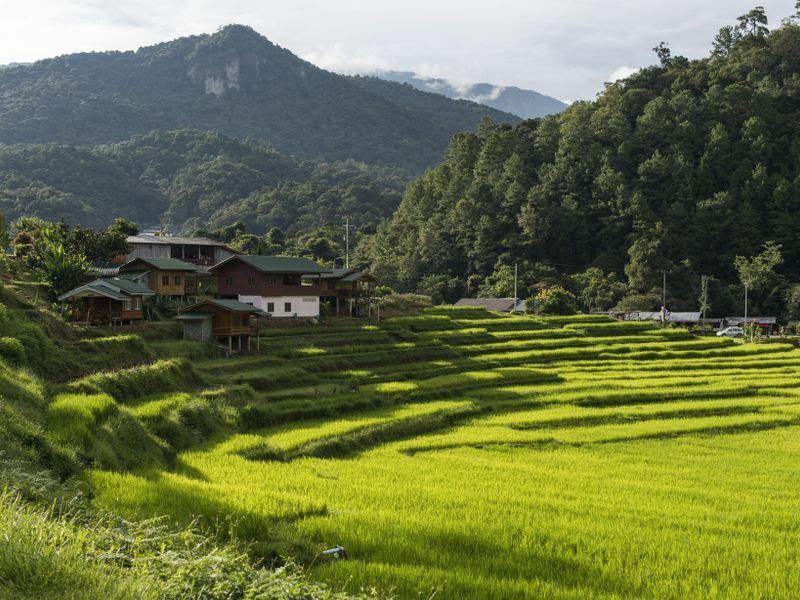 You can visit local houses, ride your bicycle through rice paddies, visit local handicraft villages, or even picnic in nature. 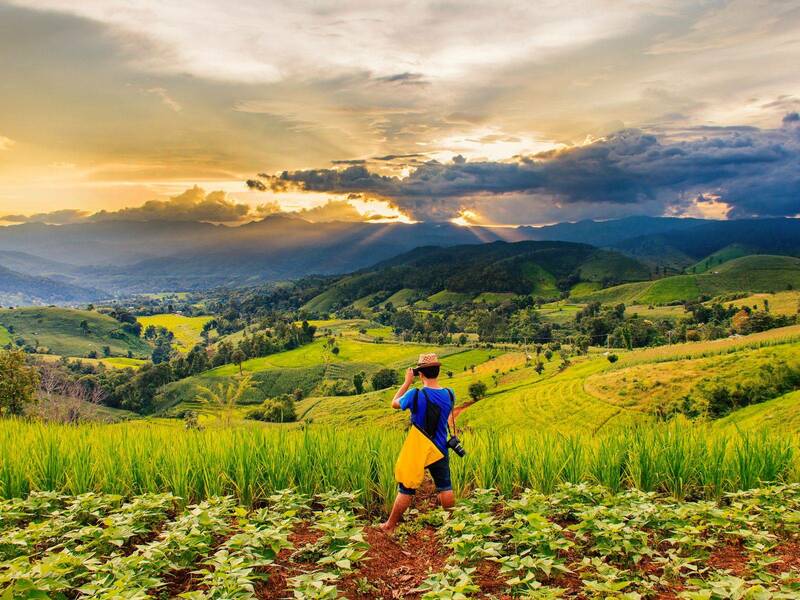 No matter what you want to do, Chiang Mai is going to be a suitable destination. Don't forget to make a visit here!